Leafing through, like I sometimes do, admiring all of the wonderful looking treats, I settled on the Barley Walnut and Fig Cookies. Now, I should say that I don’t, as a general rule, bake cookies or pastries. If I bake them I eat them, and I try to avoid that as much as possible. Having them in the house makes avoiding them… less possible. So I get my occasional fix at one of the local bakeries and it all works out. But I couldn’t stop staring at these Barley Walnut and Fig Cookies. There isn’t even a photo of the finished cookie, I was fixated on the words alone. Barley Walnut and Fig Cookies… Mmmmmm… Barley Walnut and Fig Cookies… Mmmmmm… Barley Walnut and Fig Cookies… Mmmmmmm… The breaded part of my brain decided enough was enough. It did this: Barley Walnut and Fig Cookies Bread. Oh. Yes. Well, there it is then. And here it is: Barley Walnut and Fig Sourdough. The add-ins alone would make a fine breakfast. It took considerable restraint not to grab a spoon and have at it. The dough is a sticky mess, no way around that. 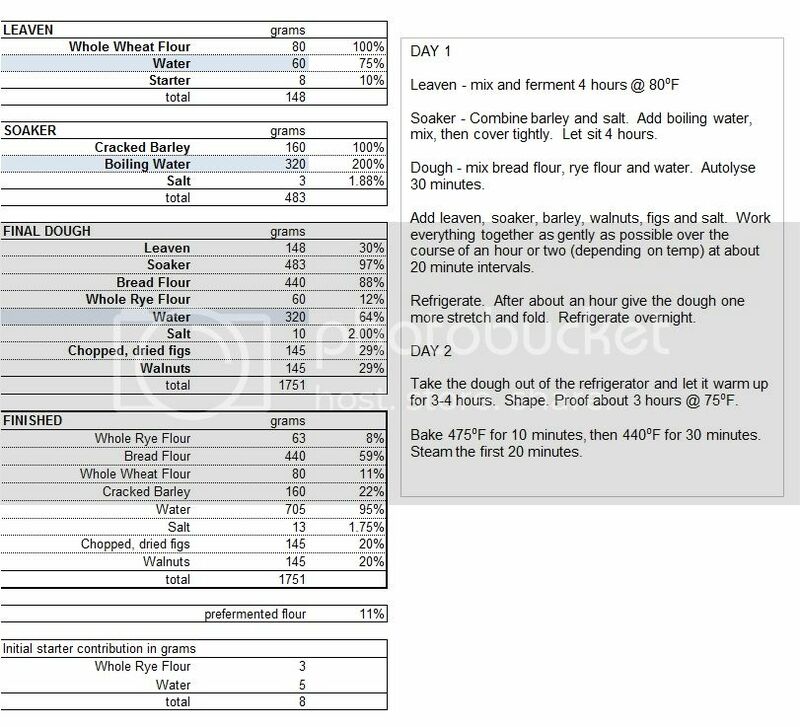 The refrigerated bulk ferment is key to developing structure without going insane – I would not volunteer to knead this one to full development. Even stretch and folds were rather undignified. I did one last fold after it had been refrigerated for an hour and then it finally felt like I was working with bread dough and not so much like cookie dough. The intensity of this version was worth the trouble, but for something more “bready” the add-ins could be cut in half and still contribute. The oven light has such a nice, warm glow I can't resist snapping photos. The crust turned dramatically dark from all of the fig sugars and the crumb has a nice purplish tint. Great idea, and really nice photos as well. Bread over cookies any darn day. Thanks, WoodenSpoon! This one sort of bridges the gap between breads and sweets – just enough of a treat. Glad you like it! This could be one of Lucy's creations! Thanks so much, dabrownman! Toasted, with a little apple butter, it was completely out of control. I think Lucy’s influence is spreading, my breads keep ending up with more and more things in them. This one may turn into a higher percentage rye one day, we’ll see. Loved your post - cookies….indeed I used to only bake choc. chip cookies on Christmas Eve but last winter breadsong posted a blog - salted rye cookies, and I was hooked on the idea. Like you I just couldn't shake it but it never entered my mind to put the ingredients into a loaf. I simply love what you have done. I love putting figs into loaves - in fact today's loaf has them as the main fruit, because of the effect they have on texture and aroma. 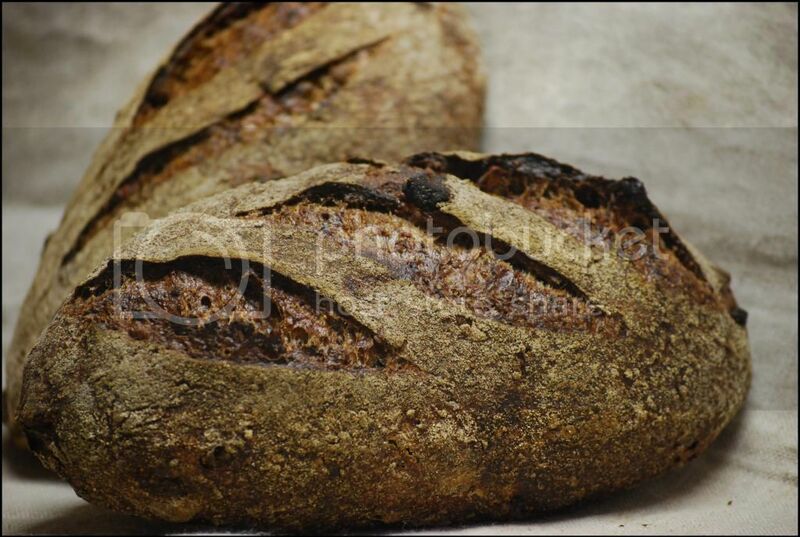 Barley is a grain I have been using a lot lately too in my Vollkornbrot type breads because of the texture and sweetness it adds when it is scalded - my son loves it! 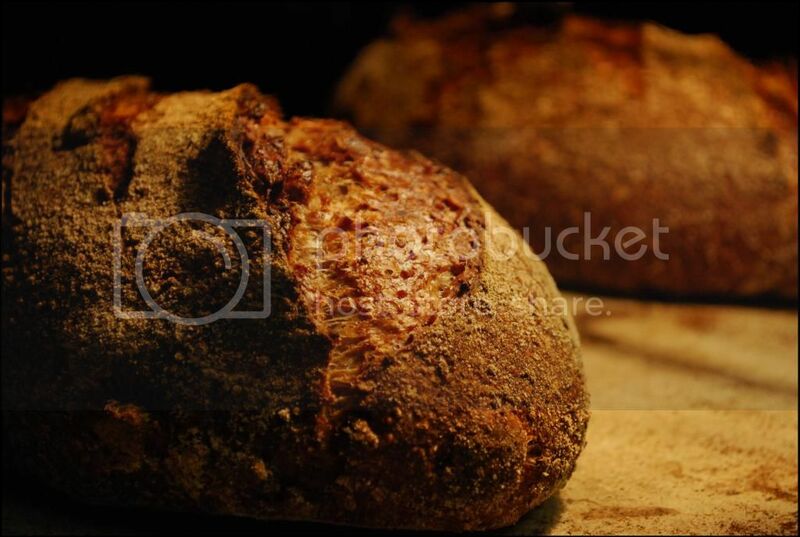 I had never thought of combining them as you have above but now…..this bread shall indeed go onto my 'to bake' list. 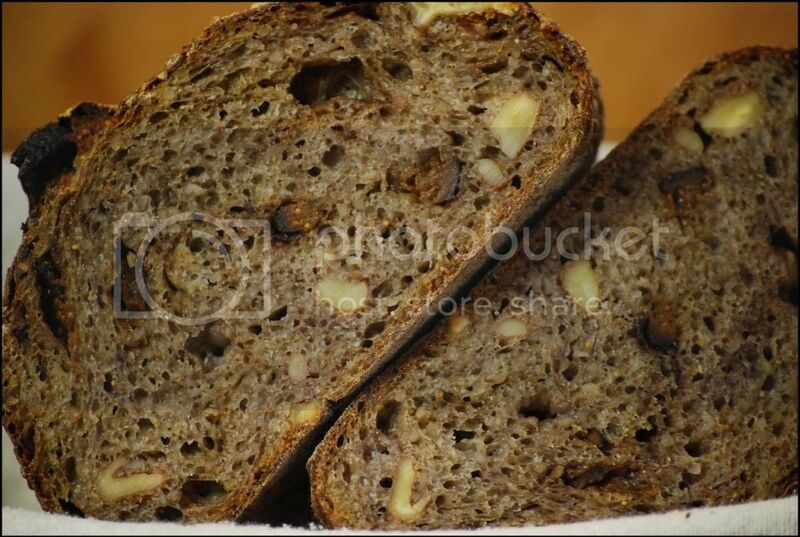 The walnuts fit right in with the seasonal breads I am baking…. P.S. My cookie baking ended up begin quite a project. I did bake the salted rye cookies on a cold and snowy afternoon. That evening, I took them to the hardware store where my son works for the crew that had to work. It became a regular Friday night thing during the winter. I discovered freezing cookie dough. I mix up a batch, scoop the dough into cookie size balls; place them onto parchment paper and let them freeze. 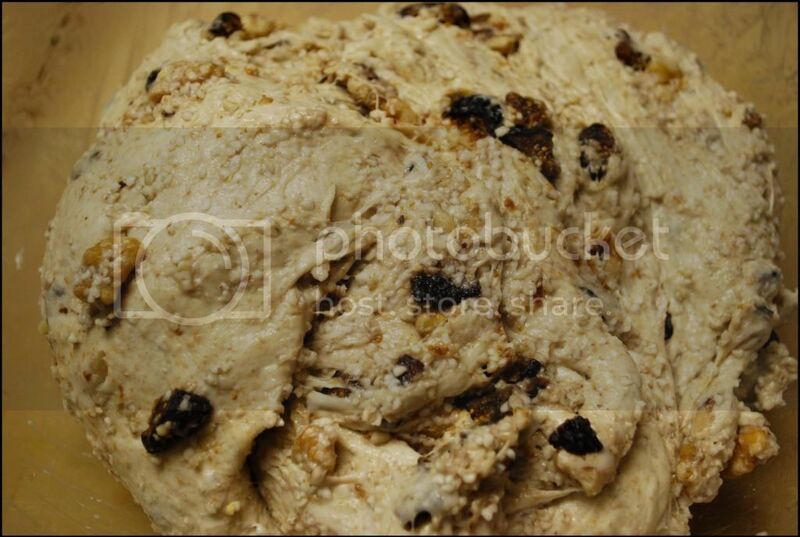 Once frozen, I put the dough into individual bags containing a dozen dough balls each. Every Friday afternoon I just grab a bag out of my freezer and I have fresh cookies for the night crew. Thank you, Janet, but why did you have to bring up those salted rye cookies? Oh, those salted rye cookies! Every time I come across those I feel my resolve weakening. I can just imagine how your son and the crew look forward to Fridays! Someday I will give in, I just know it. This is the first time I’ve used figs in bread. I don’t know what took so long, I snack on walnuts and figs all the time so this really should have happened a long time ago. Better late than never! Just wanted to let you know your loaf jumped to the head of my 'to bake' list and I just pulled 2 loaves out of the oven. Must confess that i just couldn't resist tossing in a few cranberries at the last minute…. This combination will get a permanent place in one of my bread binders. Great to hear you were able to try it, Janet. The cranberries are a nice idea – a tart counter to the very sweet figs. Funny you should mention the Borodinsky, my attention has been drifting in the same direction lately. Must be the changing seasons. I’ve been eyeing the Moscow Rye from some of Andy’s old posts and I can’t seem to get it out of my head. I’m hoping to make some sort of hefty Pullman loaf this week. Probably not 100% rye quite yet, but something simple with all whole grain as a warm up. 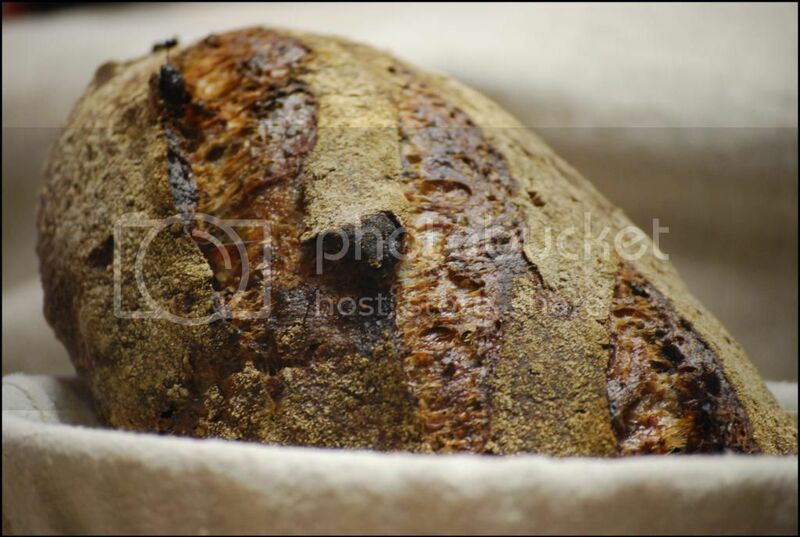 I was driven to it when I began baking loaves posted here on TFL. Didn't know how else to keep track and I hate it when I can't find things when I want to reference them. Good Luck with your 'hefty' pullman loaf. Dividers, too?!? Madness. You are my organizational hero. This is brilliant, I've been looking at that cookie recipe too and, like you, am not a big cookie baker! Yummmm. Thanks for this post, beautiful photos. I'm desperately hungry now!! Glad you like it, Kiseger! It turned out to be even more of a treat than I had expected. And it's pretty much a meal in itself, too! Looks amazing. Nice spreadsheet layout too. This bread is the type I slice a few and freeze for future toast. Sounds delicious. If you said it is perfect for breakfast , I believe you. Will have to try fig/walnut combination. Thanks for the inspiration, Marcus! Thank you, Khalid! I’ll be using the fig/walnut combo as a twist on the classic walnut/raisin more often I think. The figs give it a little something extra, especially when chopped, as they tend to break-up a little more in the dough, making the whole bread sweeter. I hope you get a chance to try it! A bread RIGHT up my alley. A bread RIGHT up my alley. Looking forward to incorporating some fig and walnut in my breads this winter. This post sure lights a fire under me. Thanks, John, happy to provide a spark. If I had multigrain, seed-extravaganza loaves like yours I might never bake anything else, so I look forward to seeing what you come up with this winter! 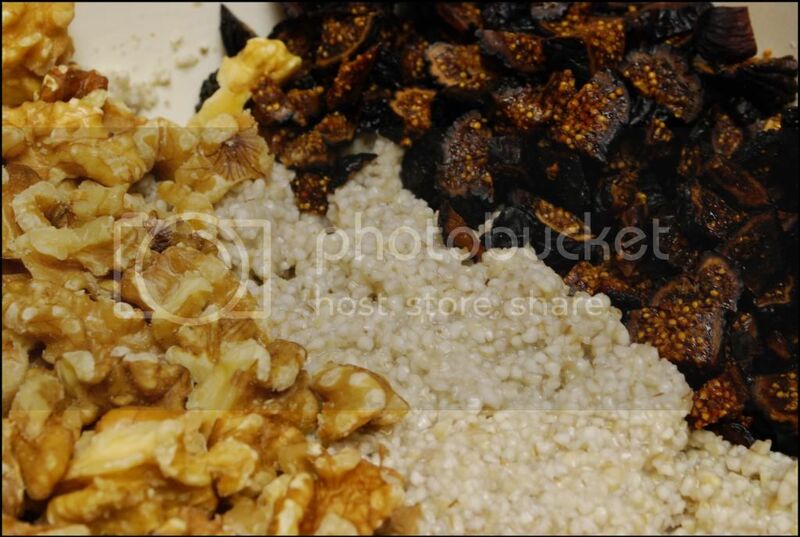 I have enjoyed the various dried fruit and nut combinations I have baked. Adding the soaker bumps it up a notch, though. I have not baked with barley. I use it in soups and like it a lot. Janet's description of its impact on flavor makes it irresistible. Thanks so much, David! 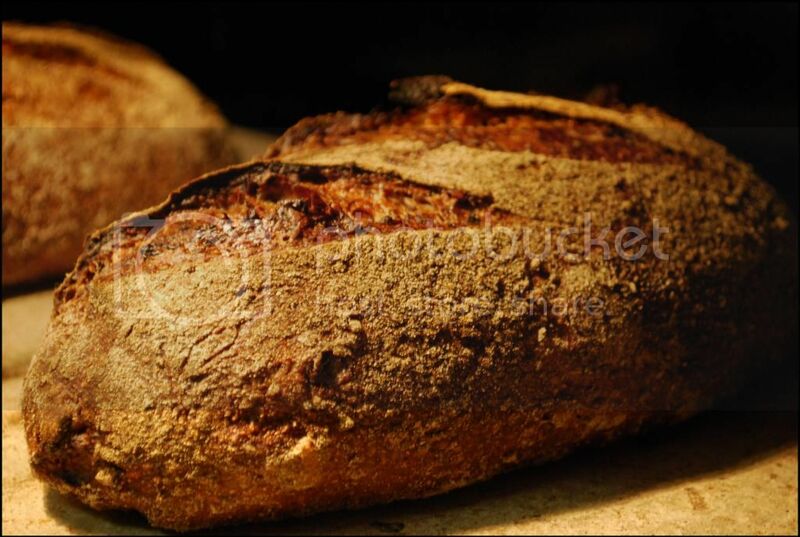 Cracked barley has become a regular addition to my breads, so I would definitely second Janet’s recommendation. It’s not something that leaps to the fore, but it adds a nice extra layer of flavor and goes with just about anything. Speaking of inspired combinations, I keep ending up back your cherry hazelnut creation. Then my mind fills with yummy sounds and everything starts to go fuzzy. If you have any hazelnuts left over to sub for the walnuts in a fig and barley combo this could be a whole other level of indulgence!